Pablo Villas condominium community in Jacksonville Beach, Florida. 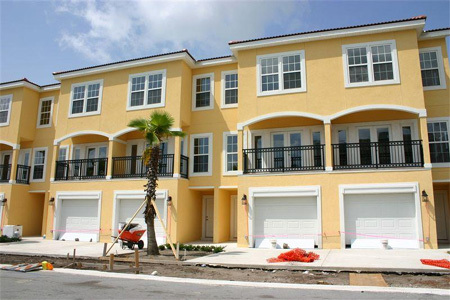 Pablo Villas is a new townhome in Jacksonville Beach located two blocks from the Atlantic Ocean. Enjoy elegant costal living with stunning ocean views featuring 2,297 square feet of living space with three bedrooms, three full baths, one half bath, and one car garage. Pablo Villas feature open floorplans with an abundance of natural light from windows, patios and balconies. The homes offer a wide array of lavish interior appointments including ceramic tile flooring, custom kitchen cabinets, solid granite countertops, Jacuzzi tub and concrete tile roof. For showing and appointments, call (904) 307-8998.